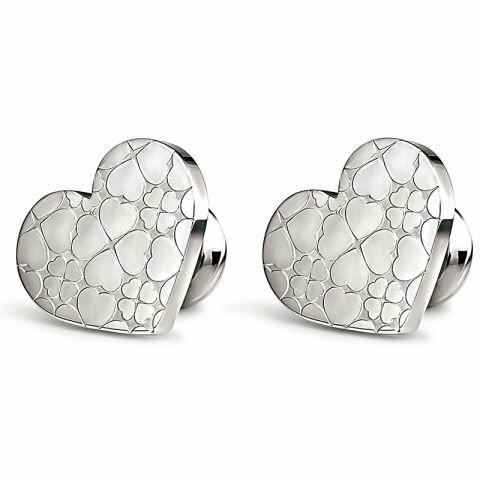 Win the heart of the woman of your dreams with this unique gift. It includes everything she could ever wish for: some jewelry and a beautiful preserved rose. The woman you surprise with this set will be delighted! Place your order on our website and we will make sure it arrives on time. She’ll never forget this amazing surprise that you gave her! Preserved rose that lasts for over 6 months without losing its beauty. Our eternal rose has grown in a field like any other. Then, it has been cut at its peak and preserved thanks to a 100% natural process so that it stays preserved for months and even years. Also, it barely needs looking after, it stays in perfect condition without sunlight or water. 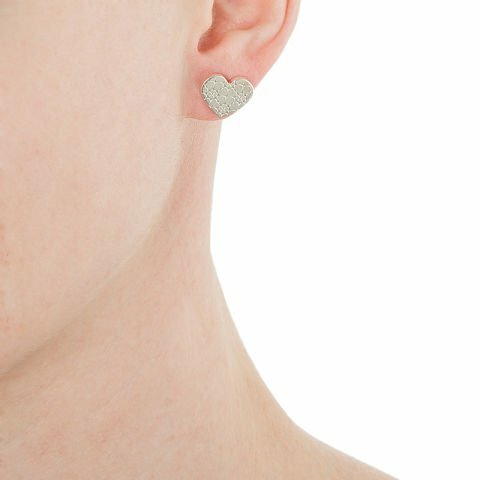 Stainless steel heart-shaped earrings, from Folli Follie. The product has a 2-year guarantee from the time of purchase. You can show your guarantee in any authorized retailer that sells the brand. 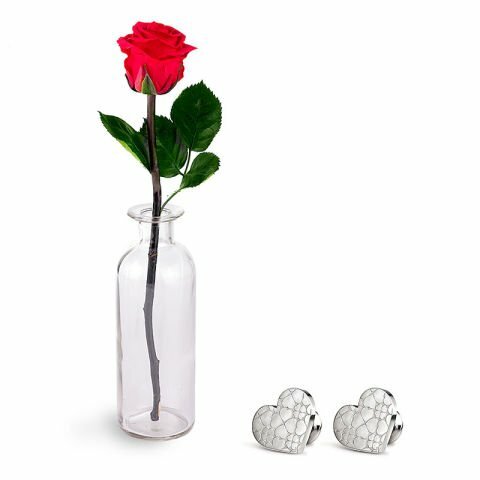 A lovely set of heart-shaped earrings, a dazzling red eternal rose and a matching crystal vase. We present you a unique combination that will make the perfect gift for the love of your life.